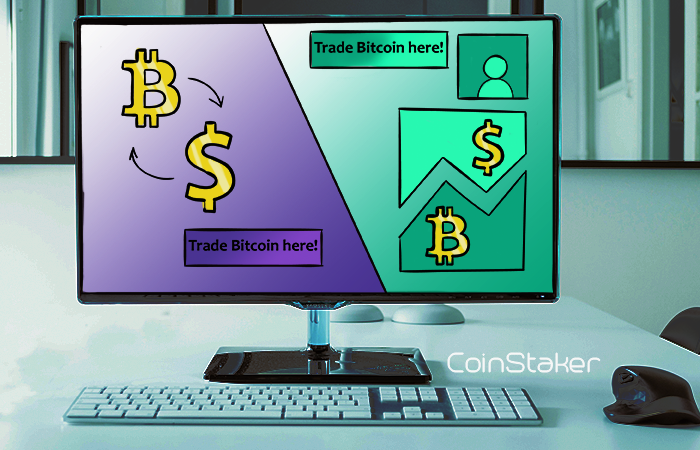 Bitcoin and other Cryptocurrency Forex Brokers explained! More and more Bitcoin news have been popping out daily, on all kinds of media. This has lead to a rapid increase of not only the interest in the Blockchain technology but also to the Bitcoin price! Thus, more and more Forex (FX) Brokers have started adding Bitcoin to their product portfolio. Why? Well, investors have seen low returns on top of most fiat currencies, stocks and bonds. Тhis is why many investors started trying out this newly emerged cryptocurrency market. Since the prices have been going mostly up, most traders profited, and thus lurked even more people into this super-lucrative looking investment sphere of cryptocurrency trading. 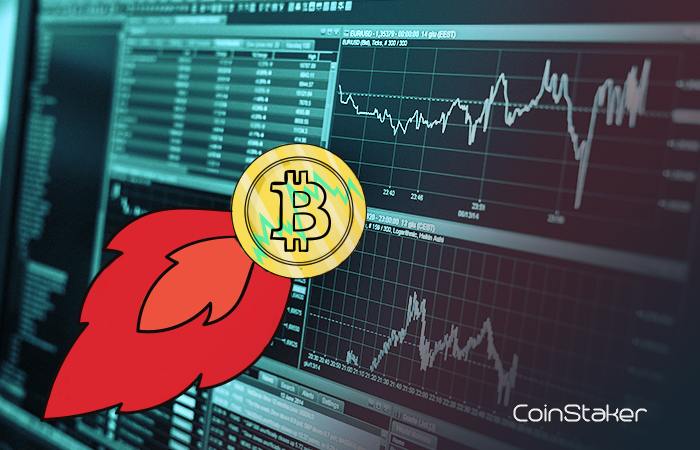 And as you would expect, forex brokers don’t want to lose their customers, so they’ve begun adding different cryptocurrencies to their platforms! 2008 Leverage up to 1:300. Bitcoin Exchanges – Providing a platform over which buy and sell orders get matched. Bitcoin Forex Brokers – Selling and buying the Bitcoin directly to and from you. So essentially the difference is if you trade your Bitcoin (or other cryptocurrencies) directly WITH or OVER them. Better regulations – Many exchanges are still not very regulated. Forex Broker have been regulated for a long time, and thus might seem as the more secure option. Better trading tools – Some brokers have been operating since many years, they have already developed and polished their trading tools like charts, user interface or APIs. Price Centralization – Since you are trading with only one entity, they are giving you a price that they feel fits. In comparison to the order matching of exchanges. CFDs – One might be trading CFDs and not real currencies. More on this topic below. 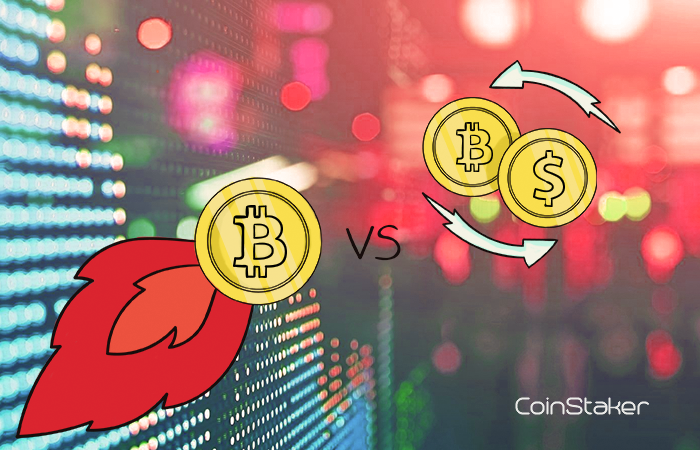 Less cryptocurrency pairs – Brokers will likely offer you only the mainstream currencies like Bitcoin and Ether, but less likely smaller cap ones. 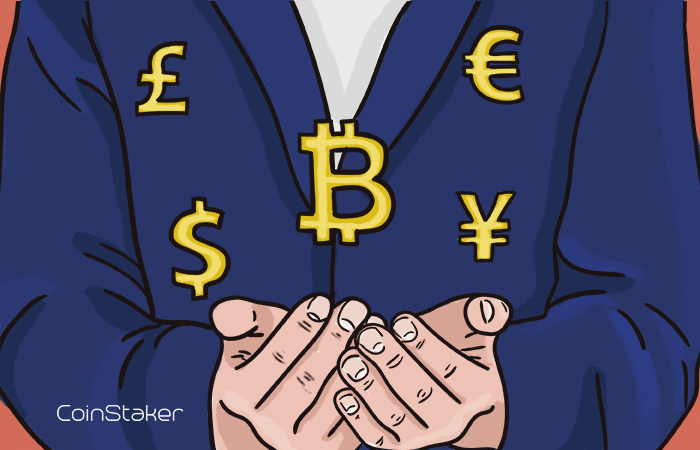 Important: Some Bitcoin forex brokers don’t sell you Bitcoin but instead Bitcoin CFDs. 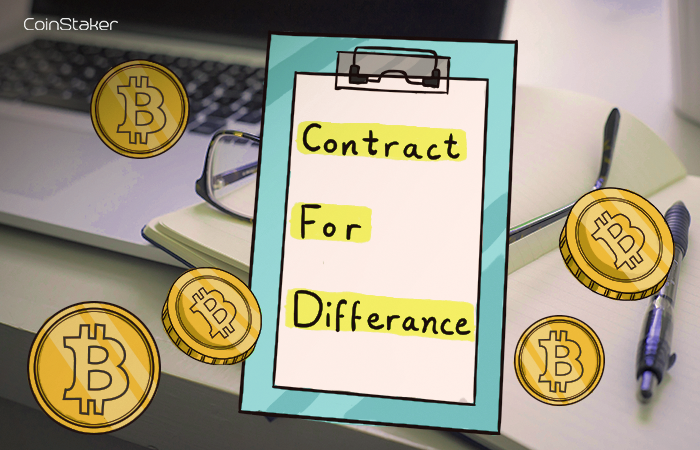 CFD is the abbreviation for Contract For Difference. This financial instrument for a future’s contract is settled by cash rather than by delivering the commodity. This kind of settlement is easier for both the winning and losing parties since nobody needs to send a specific item somewhere. In our case cryptocurrencies to a specific wallet. So if you buy a Bitcoin CFD over a forex broker, you will never be able to actually get the Bitcoin out of the platform to your personal wallet. You will only be able to realize profits or losses if you close the BTC CFD position. Essentially you never own the coins, and instead, you are trading on the price of the asset. Shorting – You can easily short, or bet on falling Bitcoin prices. This is valid, but still, many cryptocurrency exchanges offer such kind of trades. Speed and transaction costs – Nobody needs to store or transfer anything on the blockchain. This makes it more user-friendly, cheap and quick. 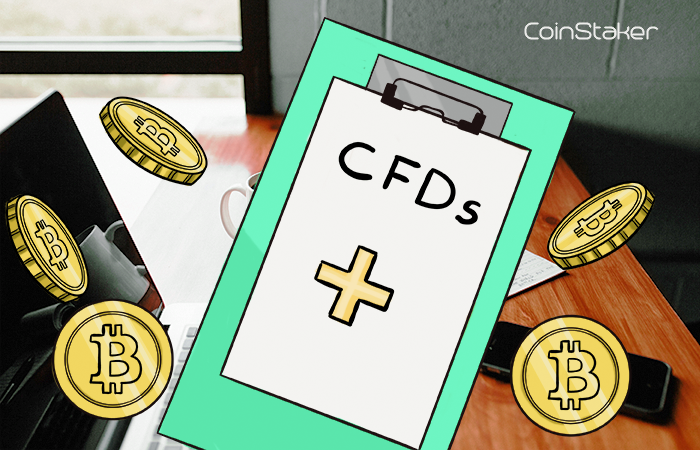 Warning about Bitcoin CFD: Holding a CFD is often bound with additional costs. Some cryptocurrency forex brokers charge up to 0.055% per night (20% per annum). This is the reason why we will mark websites that offer only CFDs. Pip stands for percentage in point or price interest point. It is a unit of change in an exchange rate or currency pair. A pip is the smallest move a trading pair can do. Example: Let us take the pair BTC/USD. Let us assume the price is 12000.00. If the price changes to 12000.01, then there would be a gain of one pip. Another example in terms of the EUR/USD pair. Let us say the price is 1.2905 USD for 1 EUR. If the price changes to 1.2900, then one can say that the price has fallen by 5 pips. The spread is the price difference between two financial quantities. In most cases it is about the bid and ask, or buy and sell spread. It is a fact that lower liquidity results to higher spreads. The leverage increases the effect of a trade without needing to increase your margin (the amount you have at stake). Example: A 1:50 leverage means that you can trade with $2 something for effectively $100 of value. This means that smaller changes in the price have bigger effects. Slippage in trading is when there are major gaps in the price movement, so one order might not get executed at a price that one would have set. This event is typically a result of low liquidity and big news. Example: Current price is 100 USD. You have set in order to close this position at 99.99 USD. Price drops from 100 USD to 99 USD. This will still trigger your order, and it will be executed at the next best price which is 99 USD. This is called negative slippage. Overnight fees are also called rollover in the financial fields. This is an interest paid or earned for holding a currency overnight. Minus usually refers to a fee; positive numbers for an account bonus. Bitcoin FX can be seen as beginner friendly. It is easy for people to buy or sell their first crypto in terms of not needing a wallet to store them. Brokers are trading the currency in your name, so you never need to hold it. So if you are someone who is wanting to buy Bitcoin and hold it for a long period in comparison to just “trading” it, then you would be probably better served by using a cryptocurrency exchange.